Type 1 vs. 2 Hypervisor Virtualization Platform will help you decide which Platform is good for your needs. I will explain the major difference between both Virtualization Technologies, and how to decide based on your Application or lab needs. Briefly, there are too many reason to run virtualization platform, among them are: saving space and money, utilizing all hardware resources, agility, flexibility, easier to manage, scalability, centralized management, and much much more, the list can go on and on. I highly recommend it for your Lab while you are studying. 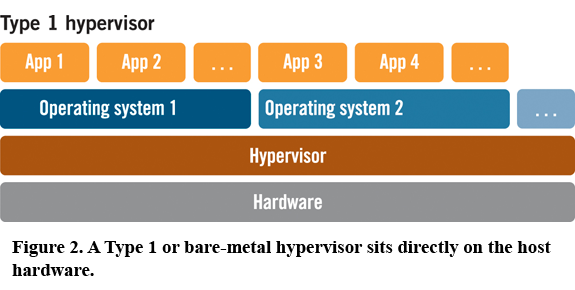 As you probably guessed, type 1 Hypervisor is based on one layer operation, type 2 is based on 2 layers to operation. Type 1 is integrated inside the Operating system, virtualization technology is part of its core kernel, therefore, it’s called type 1 hypervisor. Since most consumers Laptops and Desktop come with Client Operating System (Not Server) such Windows, MAC, or Linux, therefore, it doesn’t come with hypervisor included, (with the exception of Windows, might come with Hyper-V capability) hence, it’s called Type 2 Hypervisor, why? Because it get installed on top of your operating system. Since Type 1 was designed from scratch to be dedicated only for Virtualization, that’s where agility begins. 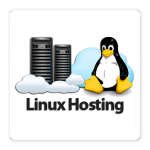 You need to install this type if you are planing to build your own Infrastructure as a Service (IaaS), or for simplicity, your own Virtual Servers. Type 1 OS is very thin, light weight compared to a regular server Operating System, therefore, it requires less resources to run it’s services, therefore, it distributes the hardware resources among virtual machines efficiently. Besides, if you want to test or have your own private lab based on type 1 hypervisor, you can run your own mini IaaS environment using a Tower or Desktop Machine. For instance, a decent i5 or i7 Desktop with 4 or 8G Ram, and 7200 RPM drive, can be dedicated to headless ESXi or Proxmox Server Host free of charge, all you need is the hardware. 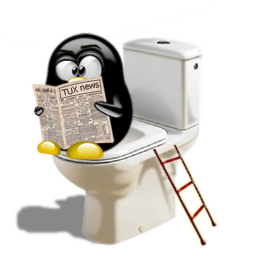 I highly recommend Proxmox over ESXi or try both of them. 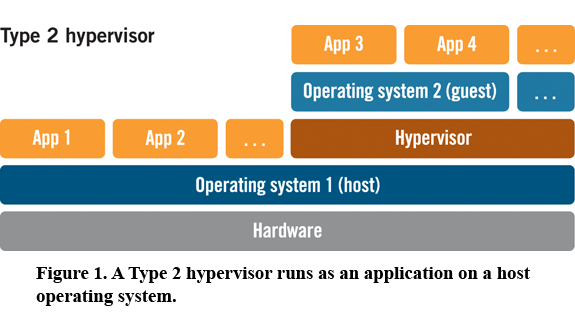 By the way, I remember type 2 was the first hypervisor to release in the market, however, since it’s an addon layer Virtualization layer, it’s not robust as type 1 hypervisor which was built from ground with virtualization in mind. But, I believe type 2 hypervisor is blessing application, not everyone willing to have extra machine beside them with type 1 hypervisor to run few virtual machines for testing. Besides, since the Hardware is decent nowadays, virtualization application such VirtualBox or VMware Station can efficiently run on top of your laptop or Desktop Operating System. 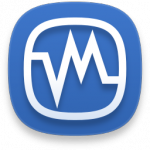 Using Type 2, you can create few virtual machines for some testing, or even have another Linux/Windows virtual station beside your main station. I personally run my Web Developer Server as Virtual machine using VirtualBox. Nevertheless, you need decent machine, I have i7 CPU, 16G RAM, and 7200 RPM hard drive on my laptop using Windows7 as Host. Bottom line, I believe Virtualization and especially Type 2 Hypervisor is blessing and a must piece of software to have on your laptop, especially when you are studying an IT career such Network and System administration. And final word about type 1 Hypervisor, I highly recommend to get hands on experience using Proxmox Virtualization Platform, frankly, I haven’t found better than Proxmox as Open Source and free Virtualization Platform. I used to use ESXi, I use Proxmox right now on my Monster 1TB RAM Supermicro server, and I don’t think one day soon going to switch to another platform.